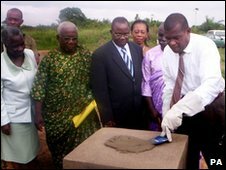 The parents of murdered schoolgirl Victoria Climbie have opened a primary school dedicated to her in Ivory Coast. 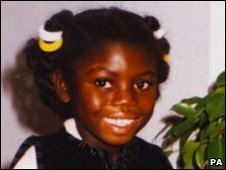 Its opening, in the eight-year-old's home town in the West African country, marks nine years since she was killed by her aunt in Haringey, north London. Paid for by the Victoria Climbie Trust, it will cater for 360 boys and girls. "After the pain we've been through, something good coming from my daughter's death brings me peace," Victoria's mother Berthe Climbie said. "Learning is the path to a better life. I know what a difference the school will make to our community." Caroline Ingram, a lawyer and chairwoman of the trust, said: "It has been a long journey getting to this point and we are very pleased that Berthe's dream of building a lasting tribute to Victoria in this way has been realised today. "Victoria loved learning, and we hope that the school will enable her spirit to live on in her community by providing practical help for children like her." She added: "Every child, no matter what continent they live on, should have the right to an education." Victoria was tortured to death by her aunt Marie-Theresa Kouao and her partner, Carl Manning. Both are serving life sentences for murder. Dozens of social workers, nurses, doctors and police officers had seen Victoria in the run-up to her death but failed to spot the abuse. Haringey Council, which came in for heavy criticism, was also at the centre of the Baby P scandal.